The average Austin homeowner likes to be able to take care of certain tasks around the house. Making certain projects DIY means saving money. In fact for some tasks, like mowing the lawn, it even means getting some fresh air an exercise. The key is to make sure that you know which tasks are ones that you should take care of on your own and which should be left to professionals. The problem is that taking care of drain clogs is one of those jobs that should be left for an expert to deal with. Yet it has become common practice for homeowners to try to rectify this situation on their own. DIY drain cleaning in Austin, unfortunately, tends to lead to disaster. For starters, professional plumbers have the training and hands on expertise to take care of a job like this, and other plumbing related services. If you don't have this type of training, why tackle the job on your own. 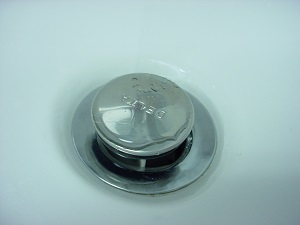 Of course the other major problem is the approach commonly used to try to improve slow or clogged drains. Most people go out and buy harsh chemical cleaning agents that promise to clear your drain. So why is this method of DIY drain cleaning in Austin a bad idea? Many well-meaning homeowners buy into the idea that these cleaning agents will fix the problem and save them money. While it may be cheaper to go with the store-bought approach, the results will not be worth the minor savings. These chemicals can do more harm than good. If you are pouring something into your drains that you should not consume, or even breathe in, imagine how harmful this can be to your pipes! Even if it does appear that the problem has been solved, can you really be sure? Most of the time, the resolution is only short term. Working with a professional means getting to the root of the problem in order to gain a long term solution. This is also a surefire way to miss out on finding out if you have a much more serious issue than some grease in the kitchen sink drain. Bigger issues, like tree root infiltration, can cause your drains to seem clogged. Yet if you try to fix this on your own, you won't know something much more serious is lying in wait. Don't take chances like this. 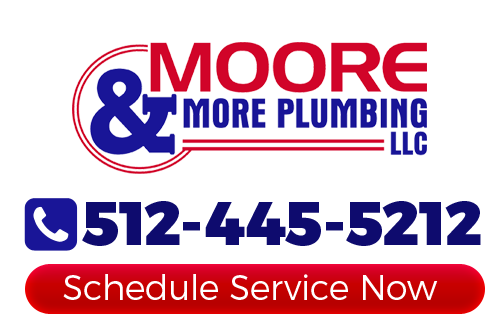 Call on our team of expert Austin plumbers here at Moore & More Plumbing to get the job done for you. We will provide you with the expert drain clearing services you need to get clogged and slow drains taken care of properly. If you are looking for an expert for drain cleaning in Austin, TX, then please call 512-445-5212 or complete our online request form.